Life Insurance Corporation India ki sabse badhi jeevan bima (life insurance) sarkari company hai. LIC ek Public Sector Understanding (PSU) hai. Iska headquater Mumbai me hai. LIC har saal hazaro vacancies nikalti hai. Is saal bhi Assistant Administrative Officers (AAO) ke liye desh bahr mein 590 job vacancy nikali hai. Inn jobs desh ke kisi bhi LIC branch mein posting hosakti hai. 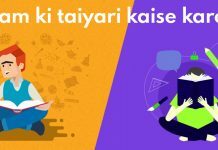 LIC AAO Recruitment 2019 ke baare mein saari jankari ke liye niche padhe. LIC mein Assistant Administrative Officer ka job profile administrative work ka hota hai. Assistant Administrative Officer (Generalist): Generalist officers ka main kaam hai customers dvaara claims ka settlement karna. Iske alava underwriting process aur risk assessment karna bhi unki responsibility hai. Mainly vo risk proposals ka verification aur claims settlement ka kaam karte hai. 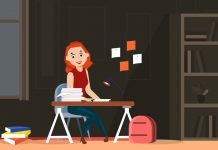 Assistant Administrative Officer (IT): IT officers ko ye ye dhyan rakhna hota hai ki technical support sahi se kaam kare taaki organization ke kaam kaaj mein koi dikkat na aaye. IT Officers ko software, network systems, databases ka maintenance , servers, overall kaam ko behtar karne ke liye new technology ko evaluate karna etc… Iske alava end-to-end support dena. Unko customer aur company ke beech ke gap ko kam karna hota hai dikkato ka samadhan dekar taaki saara kaam sahi dhang se ho. Assistant Administrative Officer (Chartered Accountant): CA officers ka kaam hota hai financial advice dena – account books audit karna, financial records ke baare mein sahi information dena, finacial reporting, taxation, forensic accounting, corporate financing, business recovery aur insolvency. CA ka main kaam hai ki company ke profits ko maximum karna. Assistant Administrative Officer (Actuarial Science): Actuaries company ke liye risks ki financial cost aur uncertainty ko analyse karte hai. Actuarial officer mathematics, statistics, financial theory ka use karke risk assessment aur policies develop karte hai jo cost of risk ko minimize kardeti hai. Actuaries’ ka kaam insurance sector ke liye bahut zaruri hai. Actuarial Officer ko design, test aur insurance policies, investments, pension plans, and other business strategies ko administer karna hota hai. Assistant Administrative Officer (Rajbhasha): Rajbhasha Officer vo officers hote hai jo desh ki official bhasha (language) i.e. Hindi ka upyog organization ke kaam mein zayda se zayda karate hai jaise circular, notices Hindi mein aaye. Officers ko ache se Hindi aur Sanskrit aani chahiye taaki official language ka upyog organization mein kam na ho. 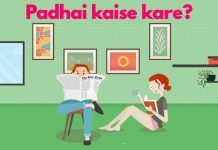 Unko official language ka prachaar (promotion) bhi karna hota hai. Locomotor Disability (LD): Person with disability of one hand or one leg, one hand and one leg, Leprosy cured person, Cerebral palsy, dwarfism, muscular dystrophy and Acid attack victim as specified in the Schedule of RPwD Act, 2016 would be covered under Locomotor Disability, provided independent mobility is not affected. Visual Impairment (VI): Candidates with Visual impairment as defined under The Schedule of RPwD Act, 2016, are eligible to apply. Hearing Impairment (HI): Persons with “deaf” and “hard of hearing” disability as defined under The Schedule of RPwD Act, 2016, are eligible to apply. Intellectual Disability (ID): Persons having intellectual disability as defined under The Schedule of RPwD Act, 2016, are only eligible to apply. Multiple Disabilities (MD) :Persons with more than one of the above mentioned disabilities as defined under The Schedule of RPwD Act, 2016, are eligible to apply. 1 AAO (Generalist) “Bachelor’s Degree in any discipline from a recognized Indian University/Institution”. 2 AAO (IT) : Graduation degree in Engineering in Computer Science, IT or Electronics, or an MCA, or an MSC(Computer Science) from a recognized Indian University/Institution. 3 AAO (CA) Bachelor’s Degree from a recognized Indian University/Institution and Candidate should have passed Final Examination of Institute of Chartered Accountants of India and completion of Articles as presented by Institute of Chartered Accountants of India. The candidate should be Associate member of Institute of Chartered Accountants of India. Candidates should provide their membership number and the same will be verified with Institute of Chartered Accountants of India. 4 AAO (Actuarial Science) Bachelor’s Degree in any discipline from a recognized Indian University/Institution and Candidates should have compulsorily passed paper CT1 and CT5 plus 4 or more other papers of the examination conducted by the Institute of Actuaries of India / Institute and Faculty of Actuaries, UK. (Total 6 or more papers) as on the date of eligibility i.e. 1st March, 2019. Candidates should provide their membership number and the same will be verified with Institute of Actuaries of India / Institute and Faculty of Actuaries, UK. 5 AAO (Rajbhasha) Post Graduate Master’s Degree in Hindi/Hindi translation with English as one of the subjects at Bachelor’s Degree level OR Post Graduate Master’s Degree in English with Hindi as one of the subjects at Bachelor’s degree level OR Post Graduate Master’s Degree in Sanskrit with English and Hindi as subjects at Bachelor’s degree level. Basic pay 32795/- per month in the scale of Rs. 32795- 1610(14) –55335– 1745(4) –62315 and other admissible allowances as per rules. Total emoluments at the minimum of the scale, inclusive of House Rent Allowance & City Compensatory Allowance wherever admissible depending upon the classification of the city, will be approximately Rs 56,000/- per month in ‘A’ Class city. Other benefits are Defined Contributory Pension, Special Allowance for passing Actuarial Examination, Gratuity, LTC, Cash Medical Benefit, Group Mediclaim, Group Personal Accident Insurance, Group Insurance , Vehicle Loan (2-wheeler/4 wheeler) as per rules, meal coupon, reimbursement towards cost of Brief case/leather bags, mobile handset, supply of dailies and magazines and tea/coffee, mobile expenses, etc. as per rules. LIC AAO ka selection process three (3) phases mein hota hai. Har phase ke liye minimum qualifying marks hote hai jiske baad hi candidates next phase mein jaate hai. Phase III ke baad candidates ka medical exam hota hai joining se pehle jisse clear karna zaruri hota hai. Joining karne ke baad one year tak. Selected candidates ko probation se pehle four years ka bond bharna hoga. Iska matlab hai unko kam se kam four years tak LIC mein kaam karna hoga agar vo four years se pehle resign kardete hai to unko Rs. 2,00,000 (Rs. 2 lakhs only) ka amount bharna hoga. 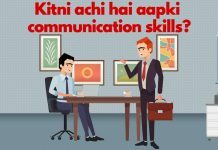 Zaruri baat : Candidates 5 posts mein se sirf ek post ke liye hi apply kar sakte hai. Step 2: LIC ki website par http://www.licindia.in/ par jaakar ‘Careers’ mein “Recruitment of Assistant Administrative Officer 2019” par click kare.